Click on any image to view in larger gallery and read our notes. 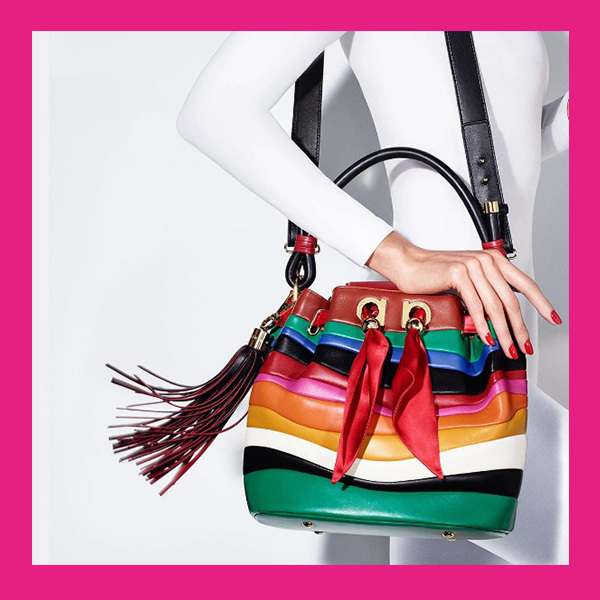 This colourful satchel from Ferragamo's Sara Battaglia collection is great for the globetrotter. Pick it up on your travels around Europe and add a burst of energy to any outfit. 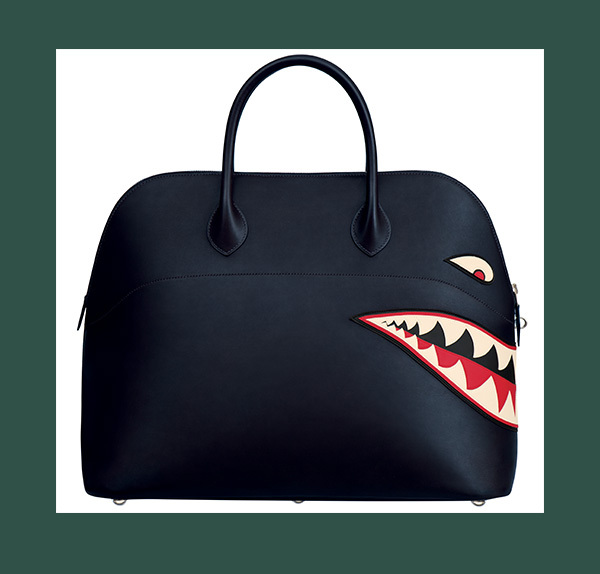 Borrow a leaf (or a bag) from your man's wardrobe and add a cheeky touch to the most formal of outfits with the Bolide Relax Shark bag from Hermès. The embroidered Baby Olimpia, which can be worn cross-body or as a shoulder bag, is the most sophisticated way to embrace the maximalist trend. We love the idea of clashing it with other prints! 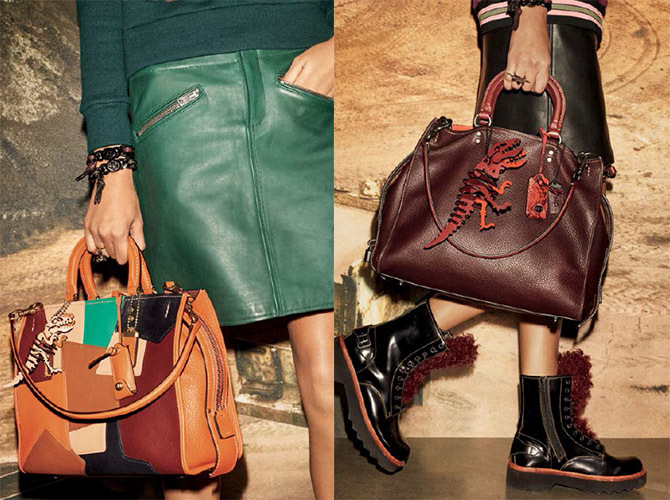 Add a touch of Americana or gothic to your workwear wardrobe with these versions of the Rogue bag by Coach. 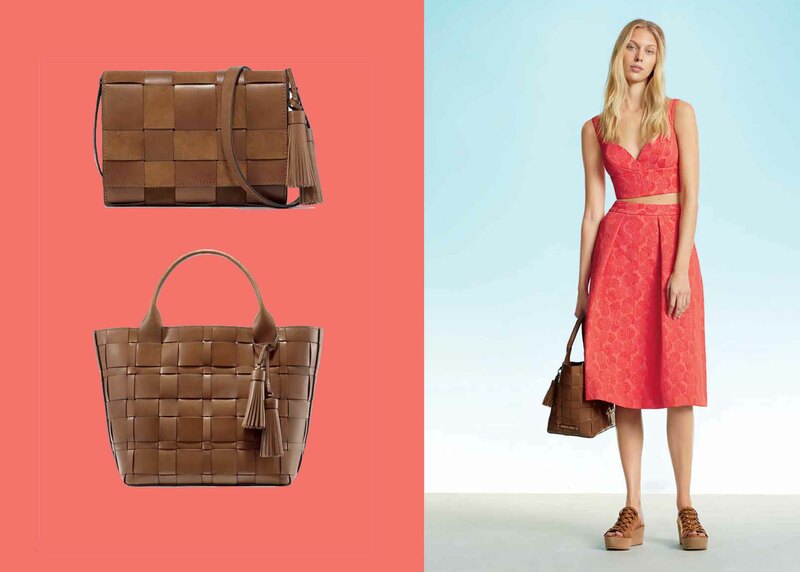 Go boho with tan and patchwork leather or chic and sophisticated with the haute oxblood. 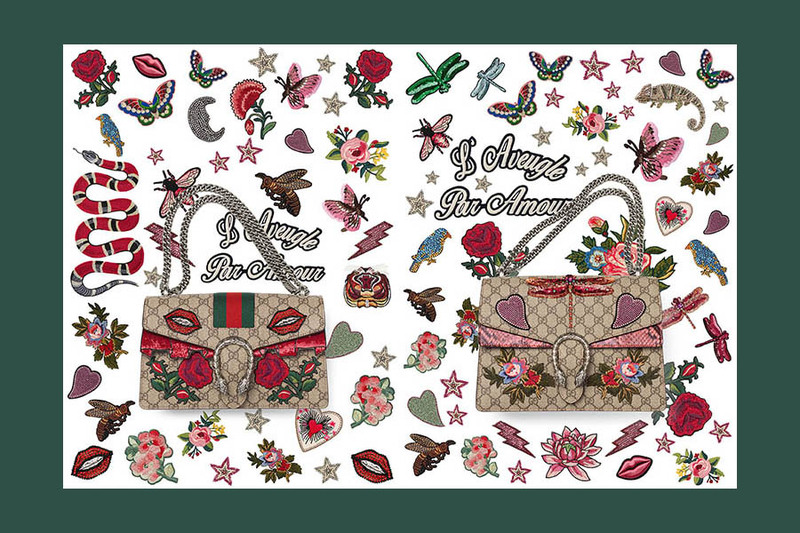 Now you can customise the 'it' bag of the season with glittery and colourful animals and plants from the Gucci garden. The new version of Dionysus is all about flaunting your individuality, in keeping with all of Alessandro Michele's collections for Gucci. 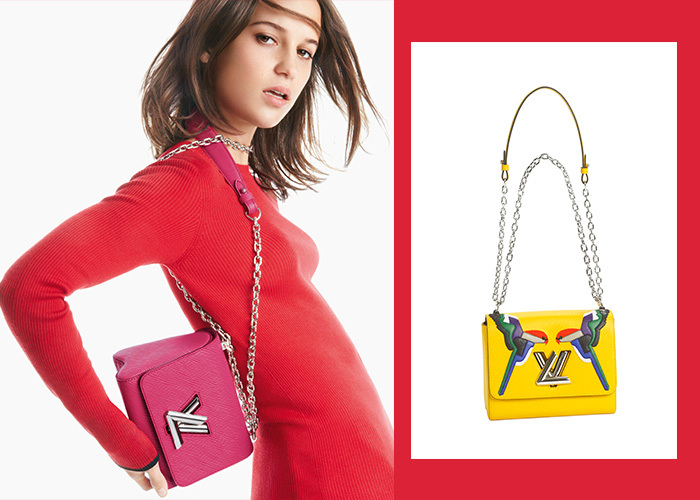 The Twist bag by LV comes in many colours and patterns, but we're partial to the sunny yellow Parrot Twist bag. For a more classic version, opt for the solid pink. We love Marc Quinn's entire collection of graphic bags for Dior. 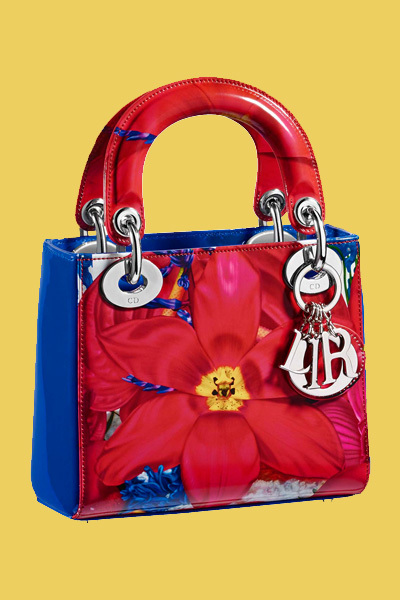 The primary colours on this Lady Dior is what makes it stand out. For girls-on-the-go, Burberry's chic and lightweight Rucksack is the perfect option. We hear Taylor Swift is a fan! Sophisticated tan leather bags are absolute essentials. These Walnust Vivian bags, in the tote and cross-body versions are great additions to any wardrobe. Remember the days you would personalise your bag with all the badges you had collected? 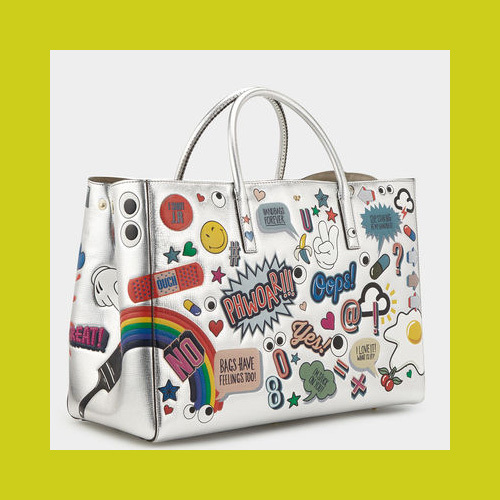 Relive your school days with Anya Hindmarch playful All Over Stickers Maxi Featherweight Ebury.